Well, don’t worry; you’re not alone. Many players find it difficult to transfer that easy, consistent swing they had on the practice range over to the course. Part of the answer rests in your pre-round warm-up and stretch which yields not only benefits to your health but also to your game. A routine featuring a variety of stretches to increase mobility and prevent injuries which can be accomplished in the locker room before you even step outside. After a good stretch, a warm-up routine on the practice range in which you slowly increase the speed and length of your swings. This brings up the question of time. Many amateur players do not usually have the luxury of the proper amount of time to stretch or warm up before they hit the first tee. In fact, many players are literally running from their cars to the tee box. 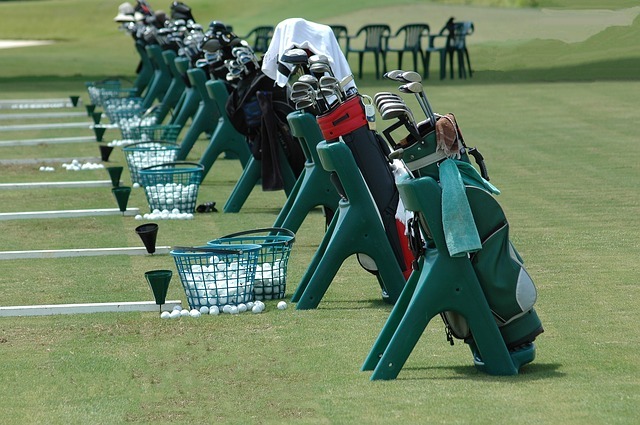 If you are short on time and have say 15 minutes before you tee off, Shemkovitz offers four tips which focus on a solid stretch and warm up with the understanding that you will not have time to spend on the range. Focus your stretching on the larger muscle groups, or your injury prone area. Separation of the lower and upper body helps to engage the large muscles to be activated. (Side to Side) – Stand on one foot and use a club for balance. With your free leg swing it from side to side 5 times, then switch and perform the same motion on the other leg. (Front to Back) – Stand on one foot and use a club for balance. With your free leg swing it front to back 5 times, then switch and perform the same motion on the other leg. 2x each side (Lower back) – Separate your legs just past shoulder width apart and bend down to each side (left side then right side) feeling a stretch in your lower back. 3x each side (Torso Rotations) – With your feet shoulder width apart, stabilize your lower body and make upper body rotations (as far to left as you can rotate and as far to the right as you can rotate. (Tip: if you complete this in your golf posture it is even more effective). You’re as stretched out as you can be for the amount of time you have, now warm up the muscles you have just stretched. Take two balls to the putting green with the primary focus of understanding the speed of the greens. Start from five feet and work your way back to 15 and begin to develop a feel for those length putts. Either before you head to the first tee or while you are on the first tee box, take two clubs that are similar in length (8 iron and 7 iron for example) and place one in each hand. Make five golf swings slowly increasing in length and speed while trying to maintain separation between both clubs and hands. This is going to warm up the leverage systems in your hands as well as your body rotation. Do nerves play a role in a golfer’s inability to take a solid warm-up swing over to the course and if so, how much? Shemkovitz says that while nerves are natural and always present, the issue deals more with timing and pace. As players, particularly amateurs, work themselves into a groove on the range, they typically take very little time in between shots – and that includes both good and bad shots. Out on the course, there might be anywhere from 2-5 minutes between shots. If you add the amount of time it takes to go from the range to the first tee and actually hit a shot, it is natural that a player has lost that rhythm and pace they had warming up. And when you do arrive on that first tee box, Shemkovitz says embrace the nervousness.